It’s important to get your home ready for fall and winter. 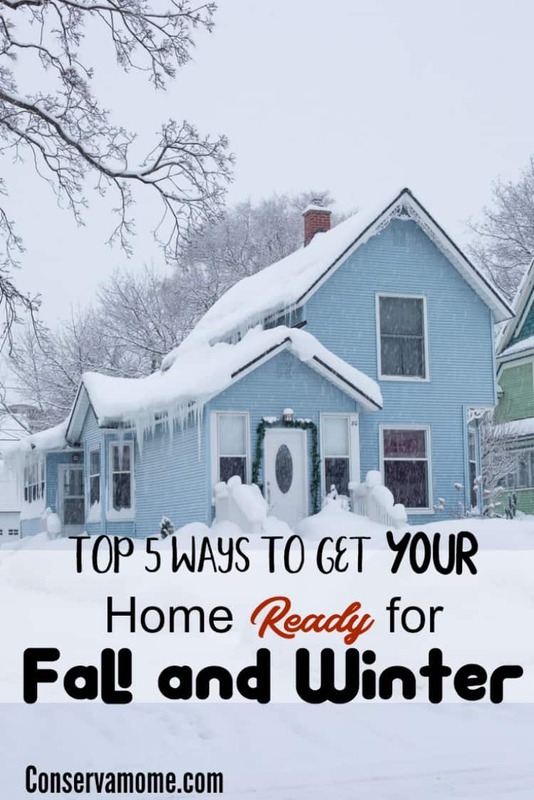 Check out the top 5 ways you can do this to help make sure you save money and get your house ready for the colder temperatures ahead. The summer is winding down, and the kids will be back in school before you know it. Along with savoring the last few days of summer vacation, there are some important things you can do to prepare your home for the next few months. The end of summer is the perfect time to make sure your home’s HVAC systems, water heater, and exterior are ready for the cooler weather. Here are the top five tasks to take care of around your home. Before you start using your furnace daily to combat the cold fall and winter weather, it’s wise to contact a technician for an inspection and tune-up service. A furnace expert can check your system for any minor problems and fix them before they become significant concerns. A tune-up service can also return your furnace to top operating condition, so you can count on reliable, efficient performance throughout the colder months. One of the biggest challenges of keeping your home warm and cozy in the fall and winter is losing warm interior air through the doors, windows, attic, and siding of your home. Most houses develop small cracks or leaks in the siding, especially around door and window openings. Even though most of these cracks are small, they can still contribute to loss of heated interior air and allow colder outside air into your home. You can seal the cracks with caulk or use weather-stripping material to help make your home’s exterior airtight. If your rain gutters are clogged with twigs, leaves, dirt, and debris, they may not be able to drain water properly. If rainwater sits in puddles on your roof or flows over the sides of a clogged gutter, it can lead to roof problems or flooding in your yard. Clean out all the debris from your gutters so they can direct precipitation to the right drainage channels. While you’re cleaning out your rain gutters, you can take the time to check your roof for cracks, soft spots, and missing shingles. If any of these conditions exist, it’s best to complete repairs before the harsh winter weather sets in. The last thing you want in the dead of winter is a catastrophic water heater failure. The end of summer is a great time to consider upgrading an older water heater with a new energy-efficient or tankless model. An expert in water heater repair and replacement can help you decide which brand and type of water heater would be best for your home. Getting your home ready for winter doesn’t have to be a big project. In most cases, all you have to do is ensure all your home’s basic systems and structures are working as they should without any problems. Remember, the end of summer is a great time to take care of home maintenance such as cleaning gutters and sealing exterior cracks. You may also decide it’s the right time to install a new roof or upgrade your water heater. Every project you complete helps ensure your home will stay comfortable and secure throughout the fall and winter. These are important tips. Thanks for the reminder.